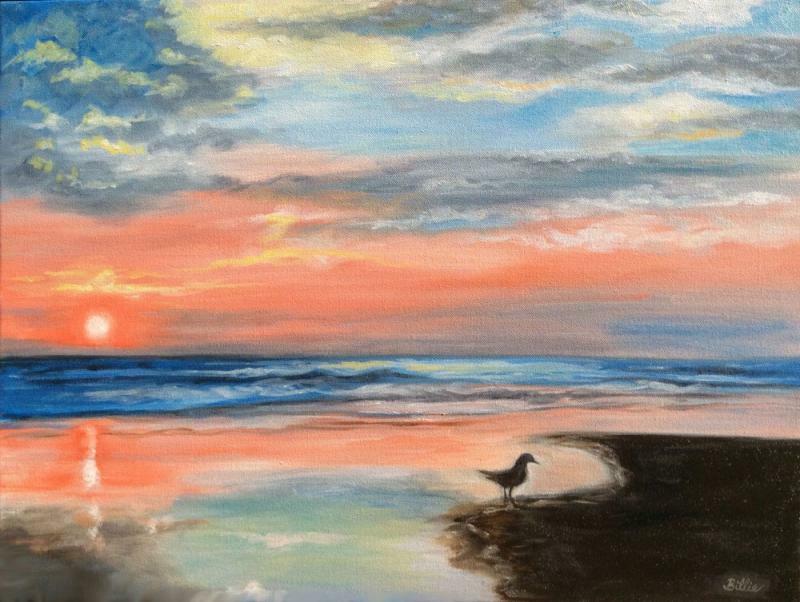 "Outer Banks Sunrise with Friend" $450 + shipping. 18" x 24" oil on deep gallery edge (1.5") canvas. Contact Art by Billie if interested in purchasing. please email me with some photos so we can discuss what you have in mind, and pricing. will raise the price accordingly. To view a wide selection of my portraits, please click on the Facebook page link below.